President Rodrigo Duterte of Philiphines on Friday accepted the resignation of his eldest son as vice mayor of the southern city of Davao following allegations he was involved in drug smuggling. Paolo Duterte resigned from his post on Dec. 25, citing “unfortunate events” in his personal life and damage to his reputation after being linked to the smuggling of 128 million dollars’ worth of methamphetamines. “President Rodrigo Duterte has already accepted this afternoon the resignation of Davao City Vice Mayor Paolo Duterte,” presidential spokesman Harry Roque said. 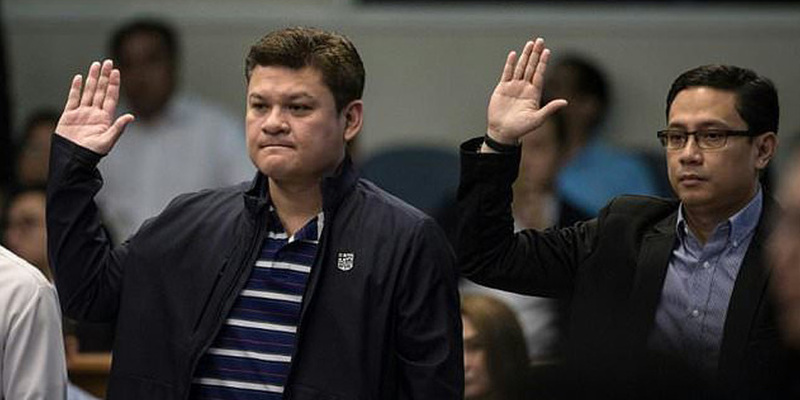 In September, Paolo Duterte told a Senate hearing that he was not part of an alleged syndicate at the Bureau of Customs that allegedly made it possible for a huge shipment of methamphetamine hydrochloride to be cleared. The narcotic, locally called shabu, is the most popular illegal drug in the Philippines. President Duterte had told reporters last month that his son was fed up with the “most unfair” attacks against him, especially after he was called to the Senate to answer accusations. The younger Duterte denied the allegations during his appearance at the Senate hearing, but refused to show whether he had a tattoo on his back indicating membership of a Chinese drug syndicate.